I have always made my children’s invites. I can never find exactly what I’m looking for so I improvise. I found these cards at Hobby Lobby and the cute llama stickers. Printed what we wanted to say on white paper and glued onto the cardstock adding the stickers. Food is tricky when you have 8 girls and need to make everyone happy. 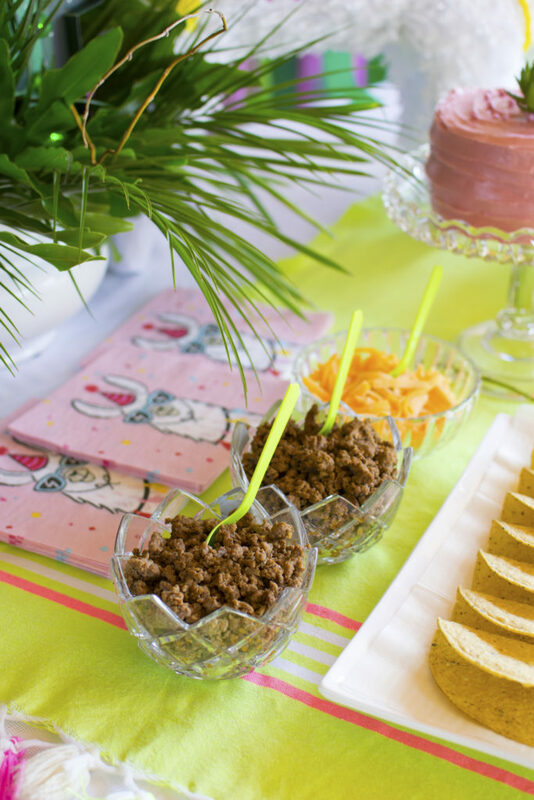 Having a Taco bar is a great option for those picky eaters, and for those who need gluten-free or lactose-free! For me, it meant not being a slave to the kitchen because everything was pre-made and just set-up for self-serve! We ordered a strawberry cake with strawberry filling from HEB. 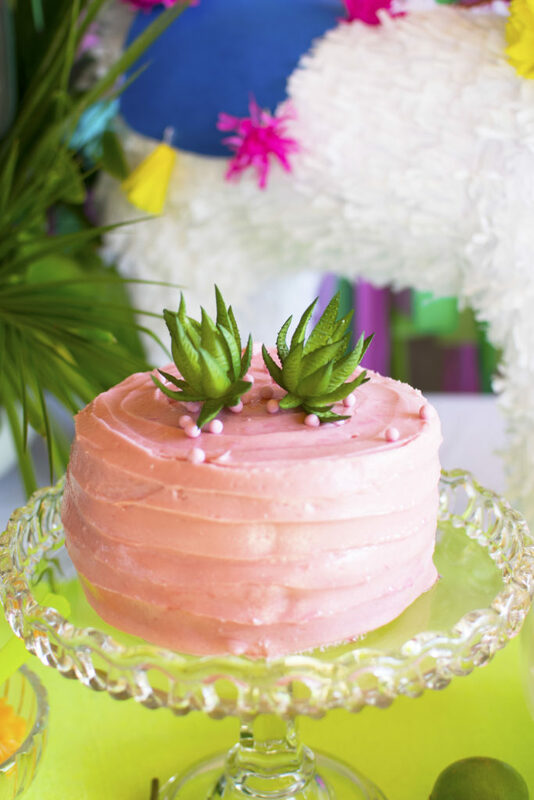 The pink color was actually perfect and it tasted absolutely delish! All we did was add two little artificial succulents for decor. 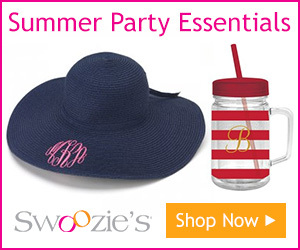 Drink station included Mallory’s favorite, Sprite! 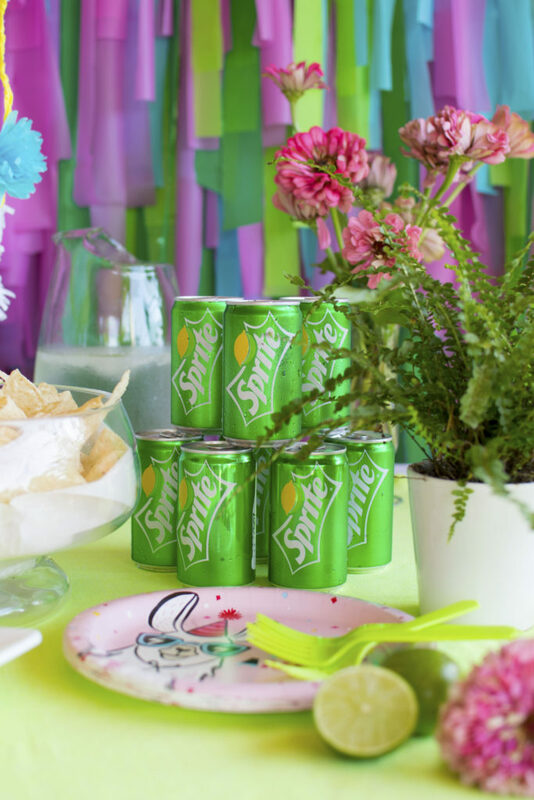 Smaller cans meant less waste and it’s just cuter for a girls party. 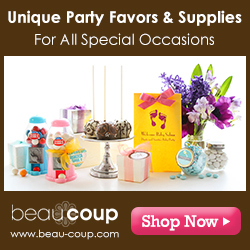 Our favorite part of putting together a party is almost always the favor bags. And these were no exception. 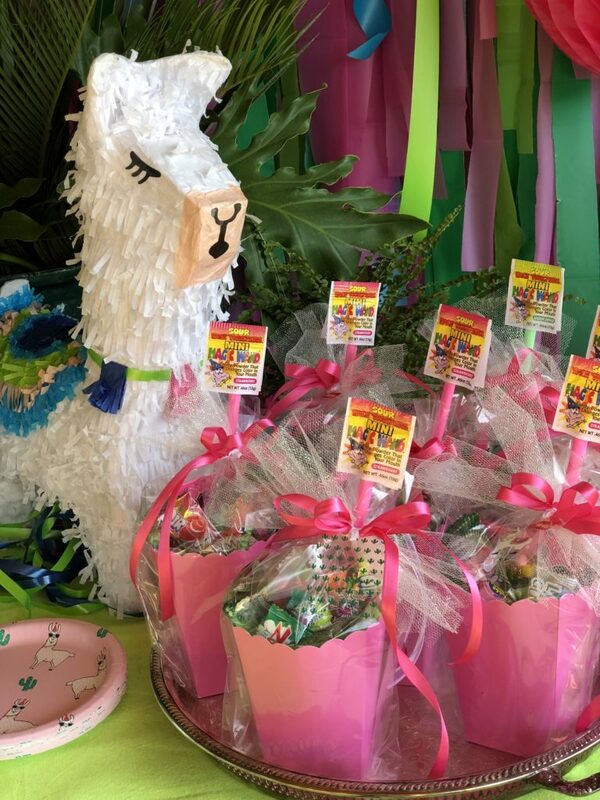 We bought anything girlie with an Alpaca or cactus theme and added lots of pink and green candy. 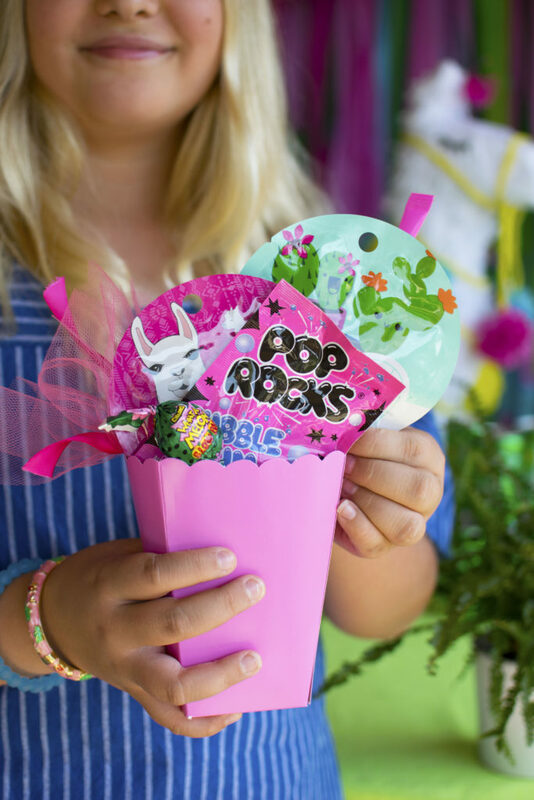 Drop into a cellophane bag, tied with pink ribbon and tulle and easy peasy! 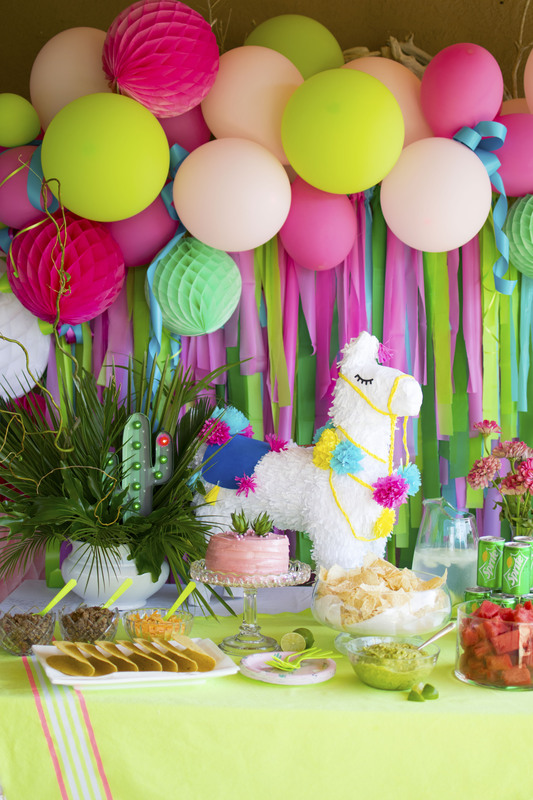 Everything was purchased at Party City. The backdrop was made using plastic tables cloths cut into strips that I looped onto a wood trellis. 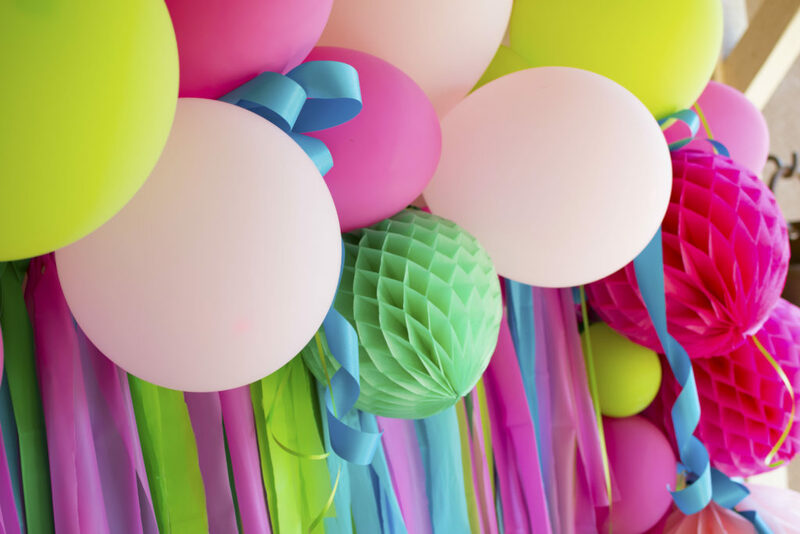 I then added 12, 9 and 5-inch air filled balloons using fishing line and created the top garland. After which I filled in the holes with honeycomb balls and ribbons. 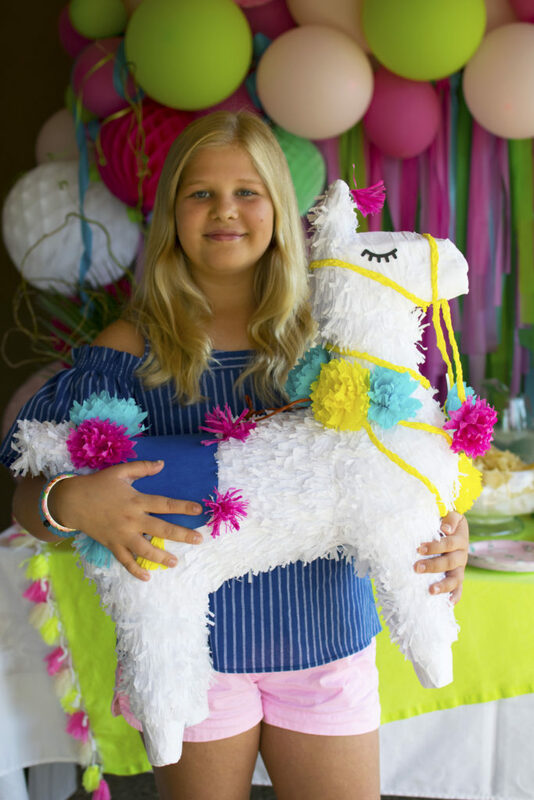 What’s cuter, smaller and cuddlier than a Llama? 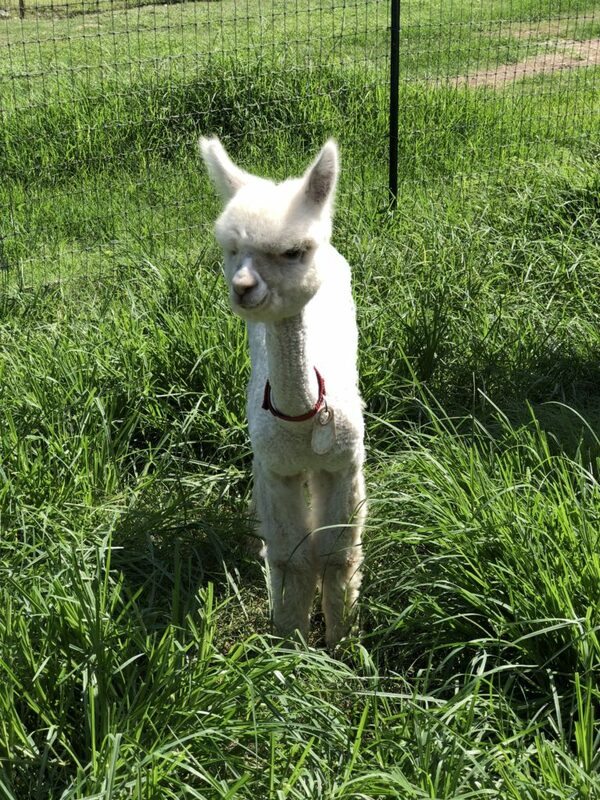 An Alpaca! 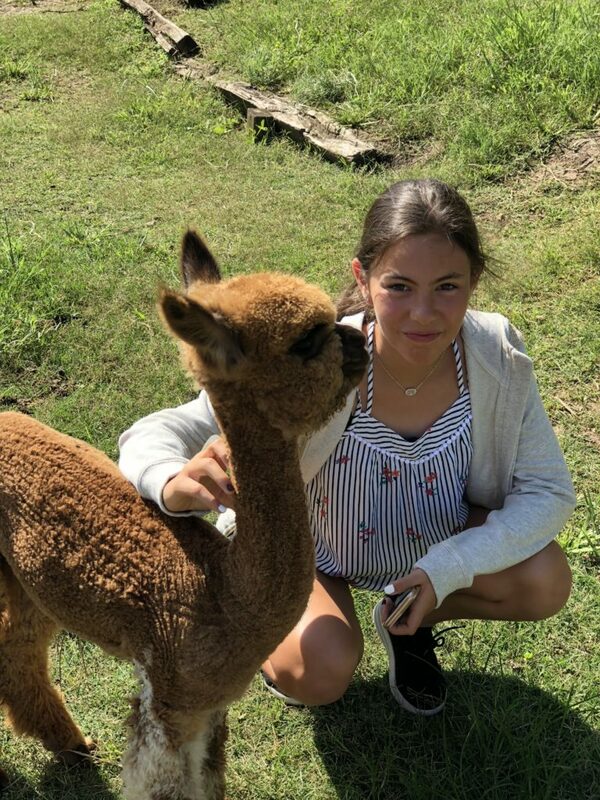 We found the perfect Alpaca ranch about an hour away in Fischer Texas, Tierra Prometida. If you ever get a chance to visit one of these ranches I highly suggest it! Alpacas are adorable, so soft and really friendly. It was the highlight of the party weekend and the girls didn’t want to leave!! 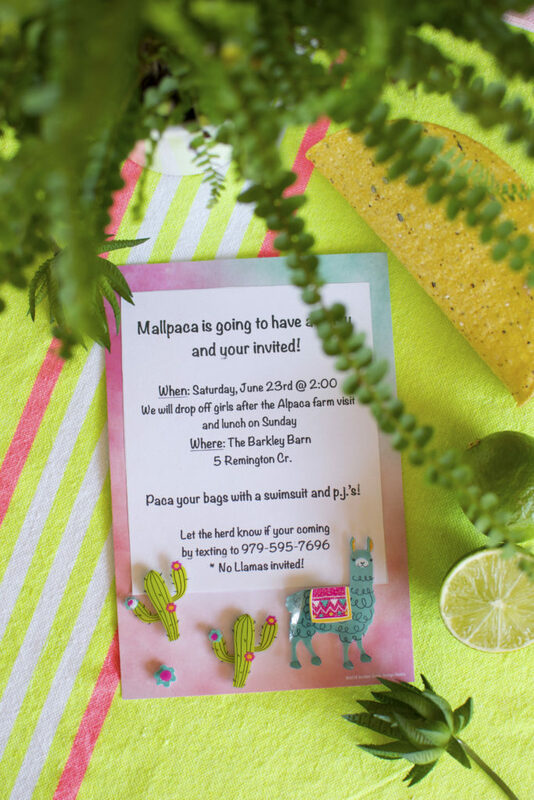 Hope you enjoyed Mallory’s Alpaca Party. Please email me if you have any questions on the DIY’s or any of the products used.